There's no getting around it. Whether it's a water tank leak, a punctured tank liner, a torn containment berm, a hole in the floating boom fabric, or a rip in the floating turbidity barrier's curtain… accidents do happen. Thankfully, there's no reason that it has to bring your project or business to a halt while you wait for materials and repair servicing. Simply keep an appropriate industrial-grade vinyl repair kit on hand, and you'll be prepared to quickly fix punctures or tears without suffering from extended project down-time. For a very small investment, you can have peace of mind that you will be prepared. GEI Works manufactures many products that utilize vinyl fabrics including: portable water tanks, water tank liners, secondary containment berms, floating turbidity barrier, and floating boom. Therefore, we know the products inside and out, and already have the manufacturing materials on hand. This makes it easy for us to prepare a vinyl repair kit with the appropriate type and weight of fabric needed for use with your equipment. It also provides an exact fabric match for any vinyl product bought from us. 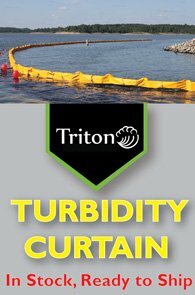 Floating Turbidity Barrier: Use vinyl patch kits to repair any type of PVC floating turbidity barrier: Type 1, Type 2, Type 3, DOT, Construction, Economy, or Heavy Duty (HD) grades for turbidity control. Floating Boom: Fix tears or punctures to the float cells and the skirts of floating debris boom with a vinyl repair kit. Containment Berms: Secondary containment berms are often made from vinyl fabric and can be patched with a vinyl repair kit from GEI Works. Portable Tanks: Frame tank, onion tank, pillow/bladder tank problems can all be repaired with a vinyl patch kit. 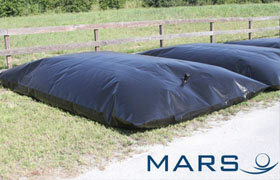 Tank Liners: Cistern and tank liners are also made from vinyl and are often treated specifically to hold potable water. This water tank liner repair kit can easily be used to extend the use-life of these products also. Note: If you didn't purchase your vinyl product from GEI Works, we'll need a little help from you. Let us provide you with the right patch kit by telling us what the type of product is, how you're using it, and the type, weight, and color of the vinyl fabric. If there were any specialized coatings applied (such as for potable water, fuel, or UV coatings), that's helpful information to have as well. *Vinyl Repair Kits can be customized to include larger patches, but a 1 square foot patch is all that's normally needed. If you're interested in a kit to fit a larger scale repair, just ask. We're here to help. With care, a little maintenance, and an occasional patch kit, your vinyl product will last a long time out in the field. Sometimes though, it does become necessary to consider replacement. If you're at a point where you'd like to get pricing on a replacement, please contact us. We'll work with you to find the best replacement product for your project. Call today for your free price quote.